Premier bridal and wedding dress shop which opened in Wakefield, West Yorkshire on the 28th February 1993. We are close to Sheffield, Leeds, Barnsley, Huddersfield, Dewsbury and Castleford. This wedding dress shop benefits from the owners wealth of experience from being in the bridal wear retail industry since 1990. It is this vast amount of knowledge and enthusiasm that has given Amazing Brides an amazing reputation, second to none! Word spread quickly about our exclusive wedding dresses, bridesmaid dresses and prom dresses all at great prices. We have over 400 gowns in over 300 colours to suit all shapes and sizes and being at the very forefront of wedding trends with an enviable reputation for customer service, you can be sure that the magic begins here! Amazing Brides is situated in Wakefield Town Centre about 300 yds further down from Westgate Railway Station on the opposite side of the road. We are within easy driving distance from Leeds, Sheffield, Huddersfield, Ossett, Barnsley and Dewsbury. You cannot miss our huge bridal shop! Everyone comments on our amazing window display lighting up Westgate End. One local even called us to thank us for brightening up this part of Wakefield and bringing “Class” to the area. She said it was a joy to see and made a point of looking at our window display of beautiful gowns which is changed every week. 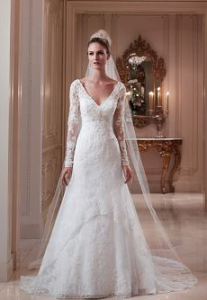 We have the most dresses on display in any bridal shop giving you a fantastic choice to browse through. 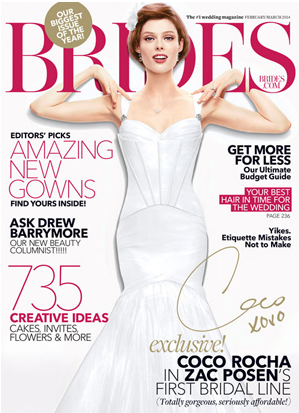 And don’t forget ladies, you cannot buy our gowns in any other bridal shop, anywhere! We have ample space in our fabulous fitting rooms for you to be able to try on as many dresses as you want in private just with your family and friends. Many brides tell us how relaxed they feel, how large the fitting rooms are compared to other shops and what a lovely atmosphere the shop has, and how friendly and down to earth we, your trusted and dedicated consultants, are. When it comes to you our valued customer, we aim to please, our motto is “Service Service Service” to you “Our Brides”. Why not look at some of the lovely comments our past Brides have made (read client testimonials) and see for yourself what a wonderful bridal shop Amazing Brides is and why you should pay us a visit. Amazing Brides are proud to support our local community in Wakefield, should any business wish to link up, please contact us for further details. From no fuss to fussy if you want it, simplistic and traditional, hand beaded gowns to fairy tale Princess or simply elegant to destination dresses. You name it, we have it here, all under one roof. We have the biggest and best selection of plus size wedding gowns in West Yorkshire. All our bridal gowns come in sizes 6-36, all available in our exclusive bridal shop in Wakefield for you to try now! Here you will also find best make up brands, hair style products, luxury jewelry and many more. For those that are laready married and living happily for ears… we have ideas for 35 year anniversary gift that you will definitely like! Our bridal shop is located in Wakefield only 2 minutes from Junction 40 on the M1 and is easily accessible from all the major West Yorkshire towns including Leeds, Dewsbury, Bradford, Huddersfield, Barnsley, Castleford, Pontefract, Ossett and Halifax. Call in and our highly trained staff will be happy to assist you or give us a call and arrange an appointment. We guarantee you will receive the personal attention you require to ensure you get the dress you always wanted!